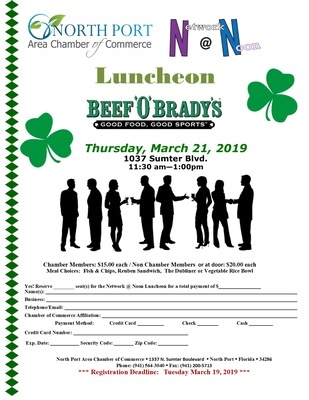 Network At Noon lunches are an opportunity for chamber members to stand up and give their sixty second "Elevator Speech" and talk about their business, product, or service hosted by a chamber partner at a new location each month. Reservations are required. Cost of $15 per person for Chamber partners or $20.00 per person at the door. $20 for Chamber guests. Please register. Reservations are required for Chamber Members & Non-Members.